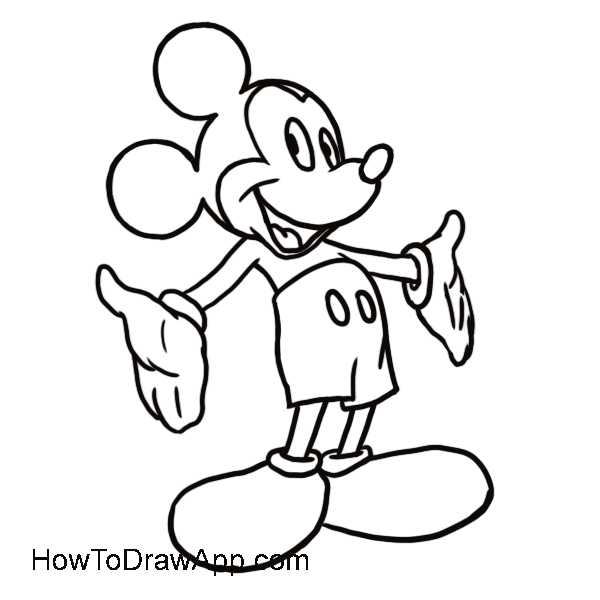 Learn how to draw Mickey Mouse step by step, easy drawing instruction for Mickey Mouse and other cartoon characters! 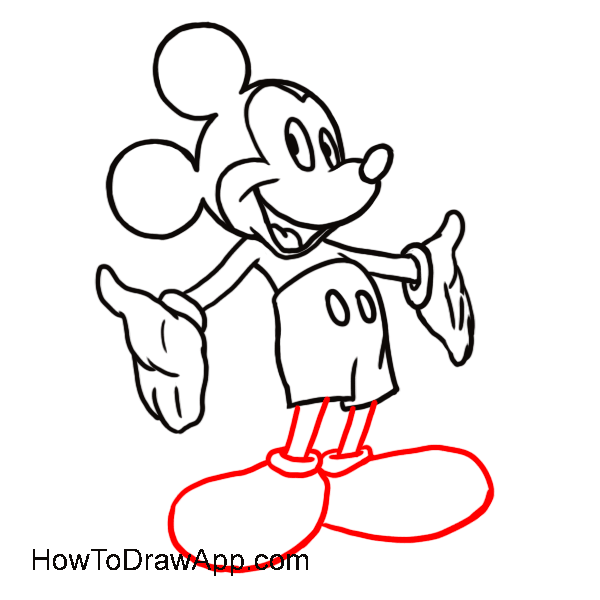 Let’s draw basic shapes and auxiliary lines to mark a figure of a standing mouse. Make an oval for the body and head, add two smaller circles for round ears and a nose, schedule lines for hands and legs. Mark two oblong ovals for boots. 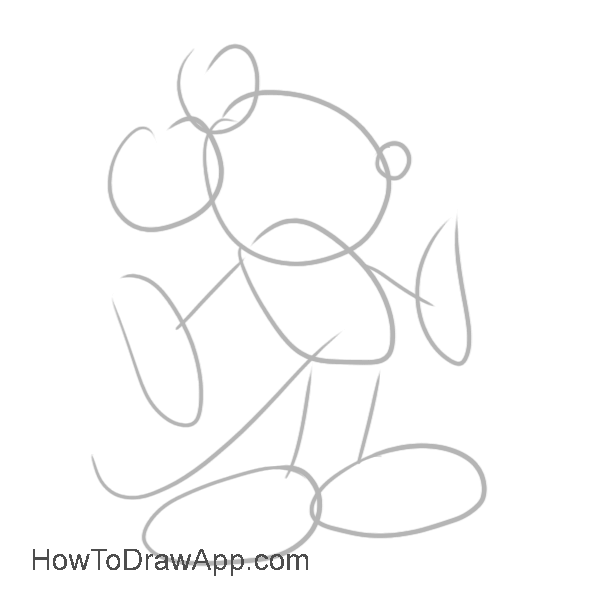 Draw a couple of round ears on the head outlining 3 basic circles you’ve made at the previous step. Outline the round nose and add the line for the snout. 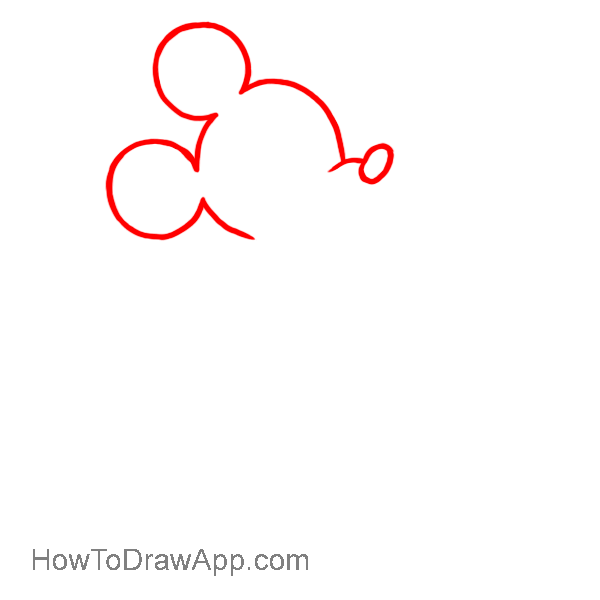 Draw a heart-shaped line to mark the face. Draw eyes and a smiling mouth. Draw two similar lines on right and left from the mouth. 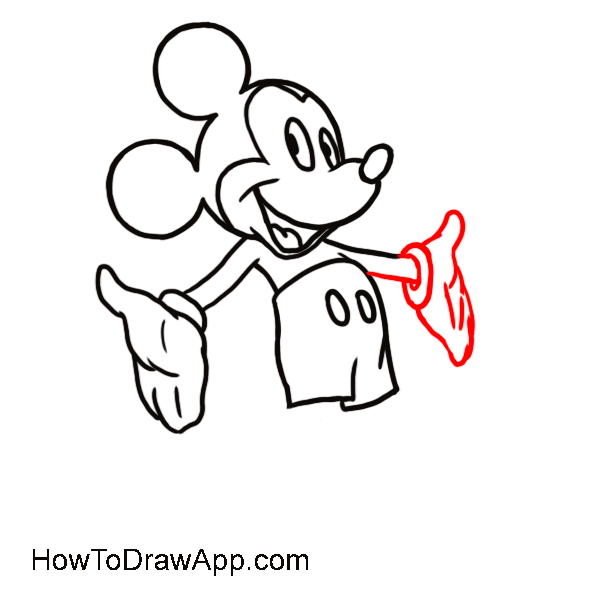 Draw a waistline. Draw a palm of the hand using vertial parallel lines at sides. 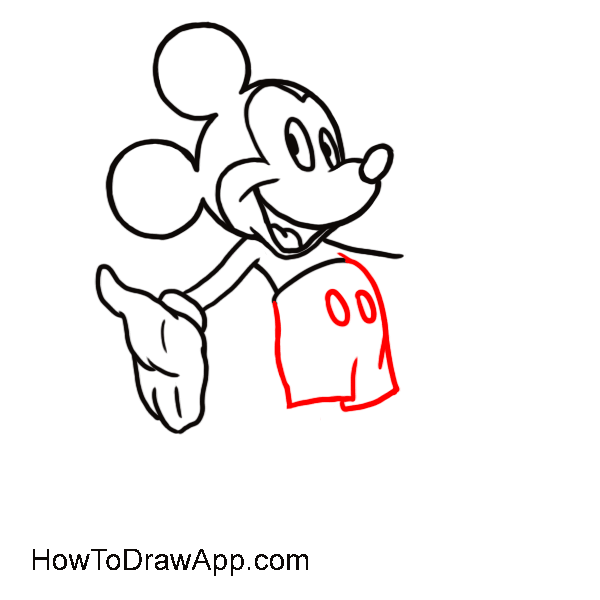 Use short horizontal lines to mark the fingers and a thumb. Draw the convex line of tummy and shorts. Draw two oval buttons. 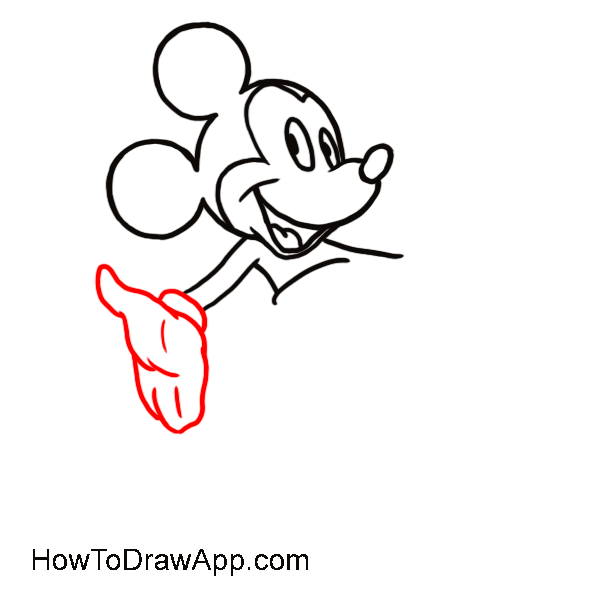 Draw another arm with a thumb up. Finish two legs and outline two slightly curved ovals for the boots. 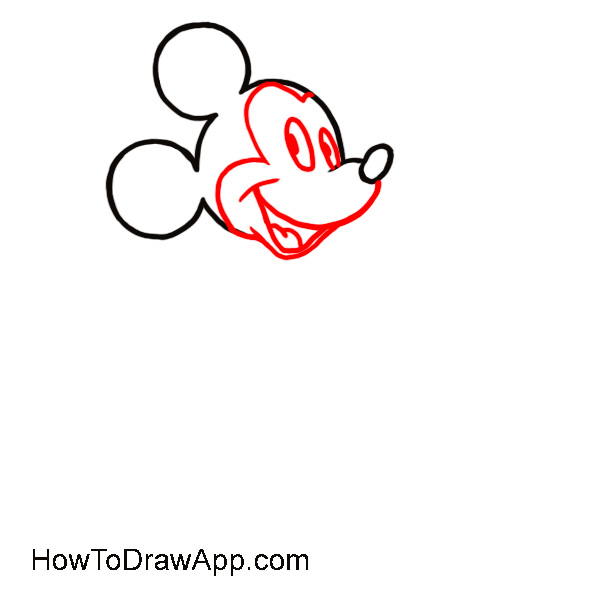 Delete all auxiliary lines and basic shapes and Mickey Mouse is ready. 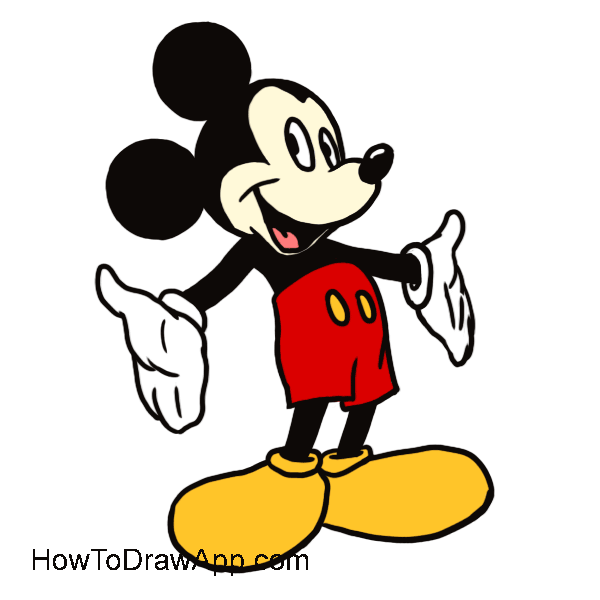 Paint Mickey Mouse in black and white and add colors for the boots and shorts.